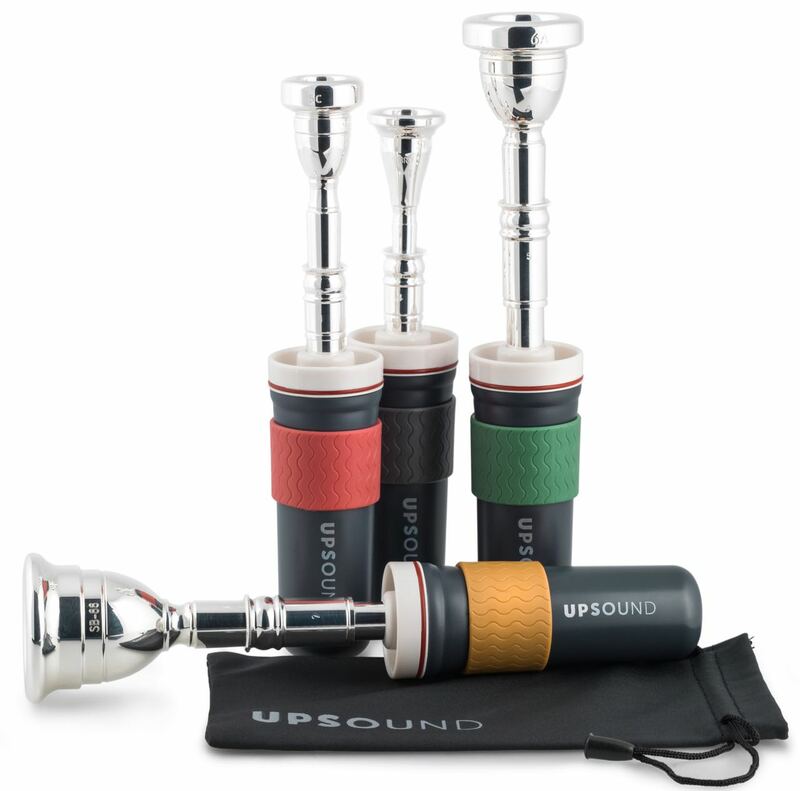 UpSound is a warm-up and practice device for use with brass instrument mouthpieces. 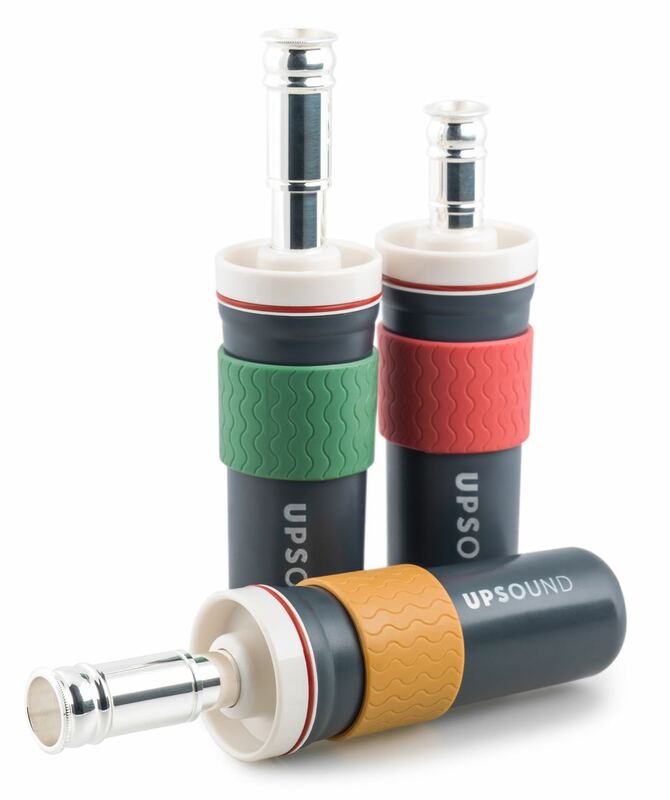 The UpSound chamber simulates the back pressure of an instrument. 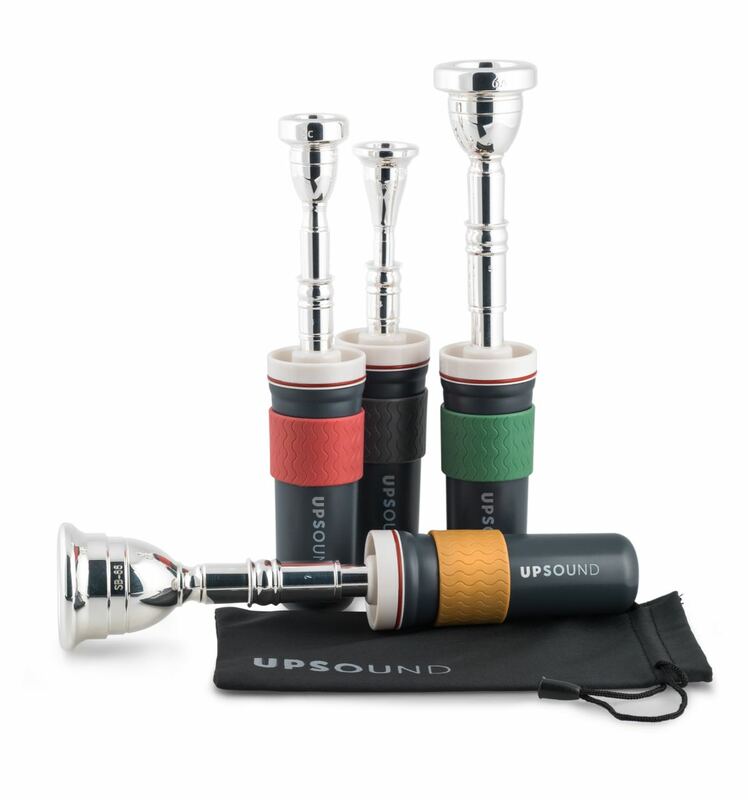 By using a mouthpiece with UpSound the player will experience a similar sensation to playing their instrument. 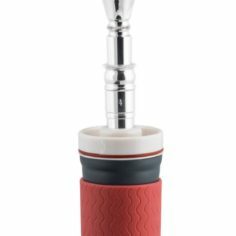 This sensation is impossible to duplicate with a mouthpiece alone. 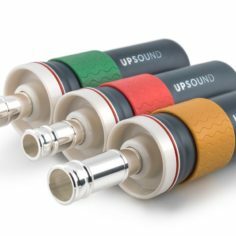 The UpSound chamber simulates the back pressure of an instrument. By using a mouthpiece with UpSound the player will experience a similar sensation to playing their instrument. This sensation is impossible to duplicate with a mouthpiece alone. 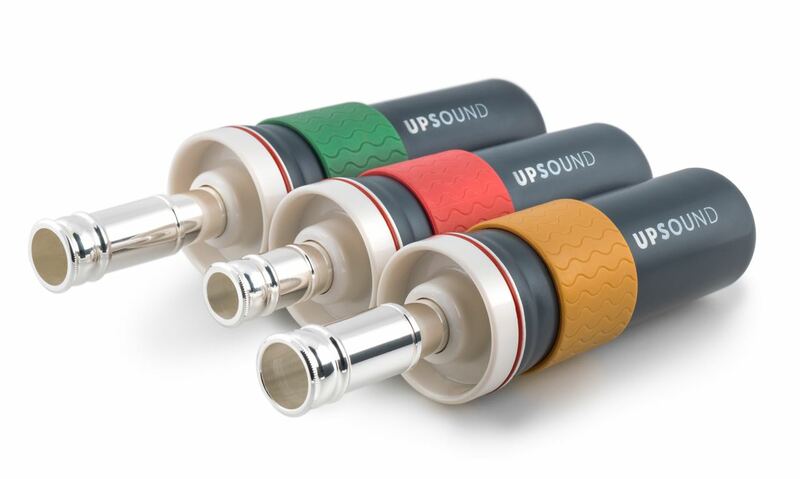 UpSound creates a natural resistance that allows for much greater control than found in other devices. Players will experience enhanced pitch accuracy allowing them to reproduce exercises they would normally only play on the instrument. 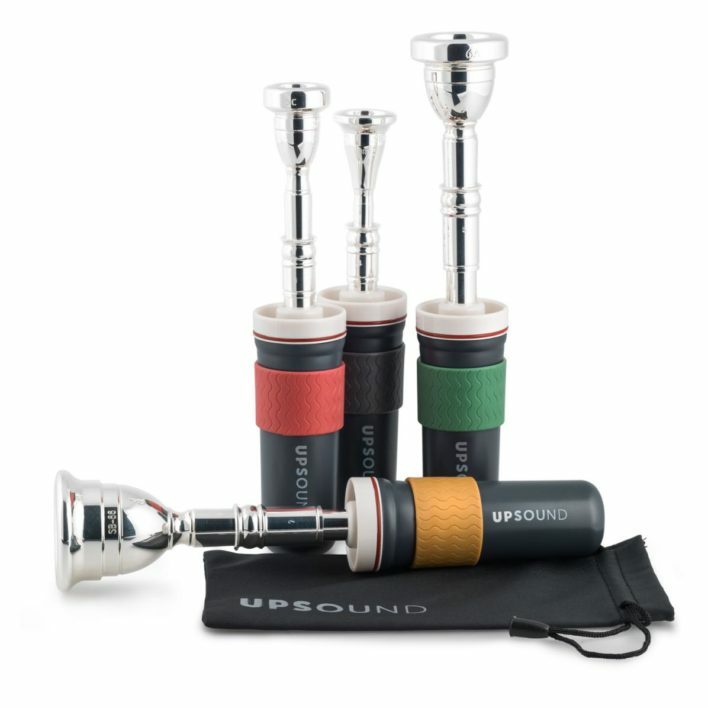 Using UpSound expands mouthpiece practice to an entirely new level. –Practicing or warming up in situations where using the instrument is impractical. –Working on ear training and pitch control. –Focusing on embouchure and breath control.